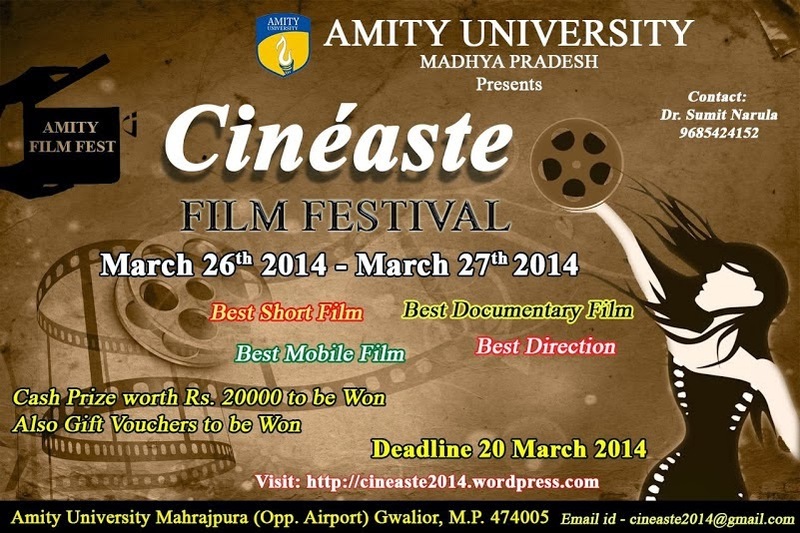 Amity University,Gwalior is celebrating 100 years of Cinema by presenting a two days Film Festival at the University Campus from 26th March 2014 to 27th March 2014. The primary purport of the Film Festival is to highlight India’s multi-linguistic process, multi-culture, spiritual customs, and lifestyle also to define a political program for budding talents. Amity School of Communications is organizing this Film Festival. It is for the India’s bright and upcoming students and new talent of Short film, Documentary Film, Mobile films and Animation Film. 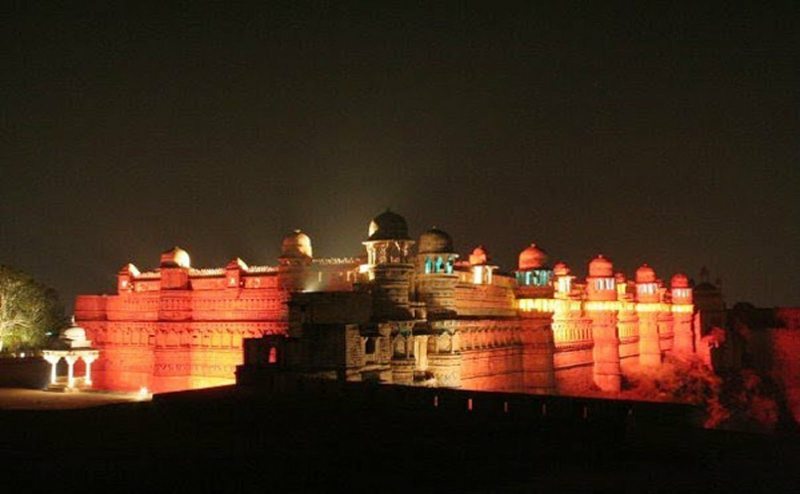 In this Film Festival, all English and Hindi Short films, Documentary Movies, Animation Movies and Mobile Films, including Technicians, artists will showcase their talent. The festival’s competition program consists of segments of student films, (fiction, picture, animation, documentary, mobile films, etc.). The non-competition section includes screening of two short films of 100 years of the Indian Cinema. Workshop on film making will also be conducted on the second day. People can also register themselves for film workshop which will be on 27th March 2014 from 10 am to 3 pm. Two Jury members will come from the Film & TV Industry who will review every entry along with one in-house jury member. On the basis of their reviews, prizes will be given. Prizes: Cash Prize of Rs. 20000 for the best film and Gift Vouchers. DD can also be sent alongwith the DVD. 1) The participating films should be of a maximum duration of 45 minutes. (The promo tape is included in the 45 minutes). 2) Mobile Films should not exceed 05 minutes. 3) The filmmaker, will be responsible to obtain all the necessary rights. 4) Films with no relevance to the theme of the Film Festival will not be considered for screening. 5) Films can be either color or black and white. 6) Preferred format for upload to the Tongal website is HD 720p 16×9. Should you win, you will also be required to provide a 1080p master file. Acceptable file formats are .mov, .avi, .mp4, .wmv. Acceptable codecs are H.264 (MP4), MPEG-4, H.263, MPGV, WMV, DivX. 7) Unless provided otherwise, all work must be your own original creation and free of any copyrighted material. You shall provide detailed information about your work regarding the source, the creator and background information as requested by the Jury. 8) Submissions should not contain any profanity, offensive language, obscene or otherwise objectionable material, the determination of which is solely at the discretion of the Jury. 9) Participants and the team must be present after the show for interlocution. 10) Short Films must be in the Hindi/ English language or subtitled. 11) It should be free from copyright issues and the film should be genuine. The Amity Film Fest will offer a golden opportunity to multi-lingual Short film / Documentary Film and Animation Film producers, directors, and the artists to exhibit their talents.